The consequences lasted into adulthood. The effects of a messy divorce can cling to a child into adulthood, affecting not just their emotions and psychology, but their physical health as well. That dismal outlook came from a study published Monday in the journal Proceedings of the National Academy of Sciences. Turns out separated parents who didn’t communicate with each other had kids who were three times more likely to catch a cold than children of intact families. Researchers suspect that living in the uniquely tumultuous, stressful household in the shadows of a bitter divorce could endure for life in a person’s immune system. Previous research in this area has shown significant correlations between parental separation and a whole host of health problems like asthma, cardiac issues, and even some types of cancer, leading scientists to suspect that childhood stress has a hand in a weakened immune response. So the scientists went one step further. They quarantined 201 subjects — who had already documented their family histories — and handed out nose drops containing rhinovirus, the virus that causes the common cold. They then quarantined them for five days in a hotel and monitored them for signs of a cold. That’s where this study stands out from earlier ones: While past research on this subject has relied on people self-reporting their health histories, scientists figured there’s nothing like a good old fashioned, real-life experiment. The results — that kids of divorced parents were three times as likely to get sick — seem particularly strong, especially since the researchers controlled for possible alternative explanations such as socioeconomic status and body mass index. Interestingly, the researchers found no significant increase in illness exhibited by children of divorced parents who remained in communication, suggesting that divorce itself wasn’t nearly as much of a stressor as growing up with parents who didn’t communicate with each other. Abstract: Exposure to parental separation or divorce during childhood has been associated with an increased risk for physical morbidity during adulthood. Here we tested the hypothesis that this association is primarily attributable to separated parents who do not communicate with each other. We also examined whether early exposure to separated parents in conflict is associated with greater viral-induced inflammatory response in adulthood and in turn with increased susceptibility to viral-induced upper respiratory disease. After assessment of their parents’ relationship during their child- hood, 201 healthy volunteers, age 18–55 y, were quarantined, experimentally exposed to a virus that causes a common cold, and monitored for 5 d for the development of a respiratory illness. Monitoring included daily assessments of viral-specific infection, objective markers of illness, and local production of proinflammatory cytokines. 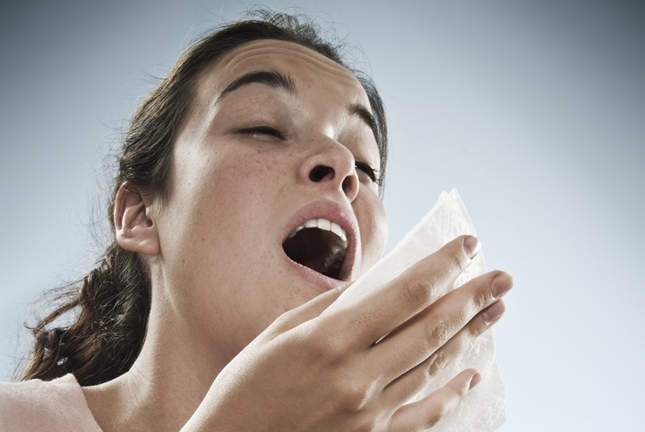 Adults whose parents lived apart and never spoke during their childhood were more than three times as likely to develop a cold when exposed to the upper respiratory virus than adults from intact families. Conversely, individuals whose parents were separated but communicated with each other showed no increase in risk compared with those from intact families. These differences persisted in analyses adjusted for potentially confounding variables (demographics, current socioeconomic status, body mass index, season, baseline immunity to the challenge virus, affectivity, and childhood socioeconomic status). Mediation analyses were consistent with the hypothesis that greater susceptibility to respiratory infectious illness among the offspring of noncommunicating parents was attributable to a greater local proinflammatory response to infection.